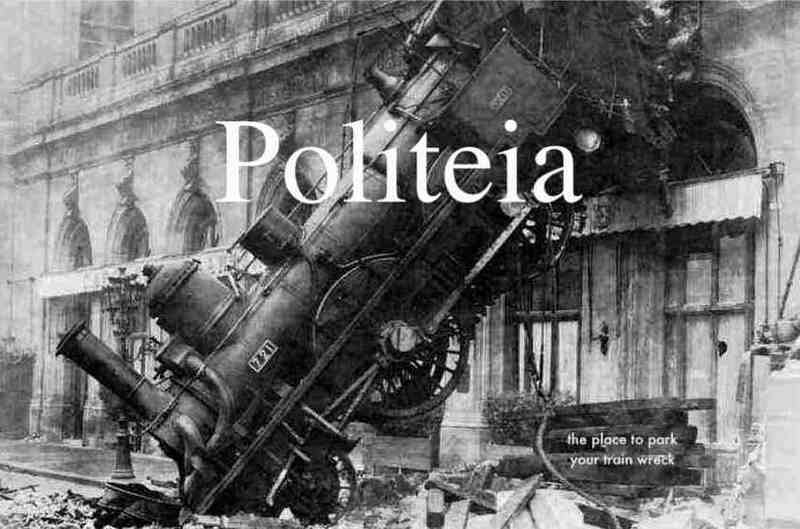 Politeia: Red-Green Radicalism Sprouted Wings! 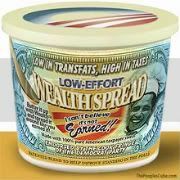 With nefarious bankers and the evil capitalistic system being blamed for the economic melt down without taking into consideration the corrupting influence of governmental legislation (Community Reinvestment Act) that compelled financial private sector players to trade in social security services, Left and Right statists and progressive NGOs are crawling out of the woodwork to pounce upon the crypto Neo Commie windfall that holds the world in its grip. What have we got? The G7, G8, G20 ... whatever; the Obama Government in the US with its massive socialization operation; the UN and its never ending machinations to grab global governance, redistribute wealth on a world-wide scale while it foists existential carbon debt upon the West; the upcoming Treaty of Copenhagen that makes Kyoto look like the Bill of Rights by comparison. As if that was not enough, we are now haunted by the ghost of Christmas Past in the body of the Club of Rome. This troglodyte from the prehistory of environmentalism is meeting this week in Amsterdam to see how they can exploit the fortunate constellation of circumstances to its fullest extent. This may well be their last chance for world Socialism! Lord Monckton has recently suggested that those who piled from the Berlin Wall, piled straight into the Green movement. This makes sense, also without Michael Gorbachev, former President of the Soviet Union, founder of the Green Cross International and co-founder of Earth Charter as the unsung hero of the convention. The dialectic (economic version) was an early part of the Club's philosophy. After its founding in 1968 the historic annals report that: "In 1972 the campaigning of this growing group of like-minded individuals gained a new worldwide reputation with the first report to the Club of Rome: "The Limits to Growth", commissioned by the Club from a group of systems scientists at the Massachusetts Institute of Technology. The Report explored a number of scenarios and stressed the choices open to society to reconcile sustainable progress within environmental constraints." To the Left everything is a zero sum game! In the end their predictions were proven wildly off the mark, but lo and behold, type "wrong" and Club of Rome" into the Google search engine and the result is 3.640.000 hits, all assuring us that "they were right after all", "rehabilitated", or its tea-leaf reading deemed "with hindsight, spot on". These are the wonders of the Postmodern narrative: absolute truth does not exist, so reality is whatever you want it to be! More curious news hit the transnationalist front this week: the launch in the Netherlands of a new group that self-identifies as a "development aid organization" meaning, "we are from the developed world and we are here to help". Only this lot thinks the Western Left as embodied in the world's NGOism, has been far too lenient with the world's dictators. One is inclined to agree with them on this one, until the realization hits you that this group is potentially more radical and revolutionary than can possibly be beneficial. Perhaps they'll clarify their position further shortly, but from what is currently up on the website this may well portent a resurge of the radicalism we have seen in the past. There are harbingers that trend may indeed be the case. The NIF (New Involvement Foundation) is a new aid organization based in the Netherlands. It is founded by former aid workers who are fed up with the weak approach of Western governments, organizations and NGOs. After decades of programs and billions of dollars wasted the situation in which the world's inhabitants find themselves has hardly improved. After having worked for years for several development organizations the NIF founders were required to answer the question whether to accept the sitation, or to go for a more radical approach. The NIF way is very simple and effective and consists in the elimination of government leaders and supporting the imposition of new governments. The ultimate form of intervention, you might say. How shocking does that sound to you? - Global Climate Scam: "Is Obama Poised to Cede US Sovereignty?" - The B-Cast: "Lord Monckton Warns America"
- "The Case for Neo Communism"
Labels: Barack Obama, Club of Rome, Community Reinvestment Act, development aid, environmentalism, Lord Monckton, Neo Communism, NIF, transnational progressivism, Treaty of Copenhagen, U.N.